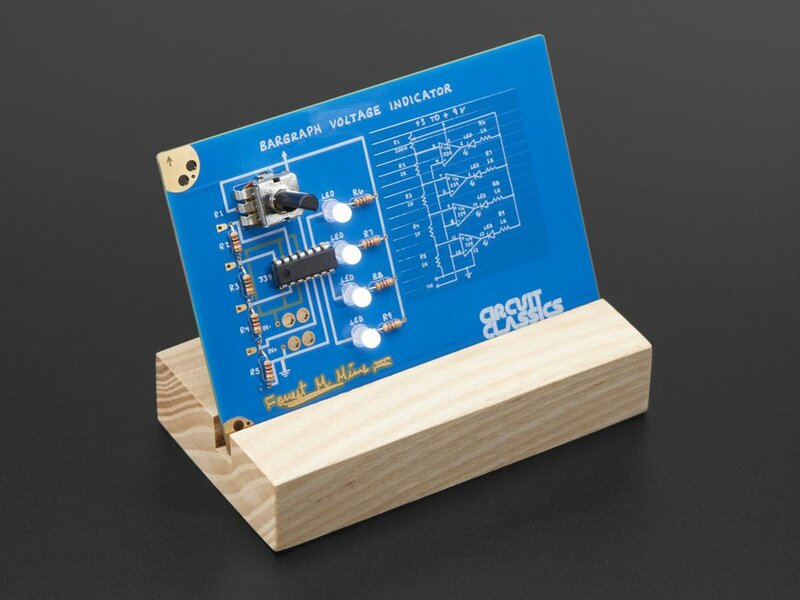 This kit is the Bargraph Voltage Indicator. 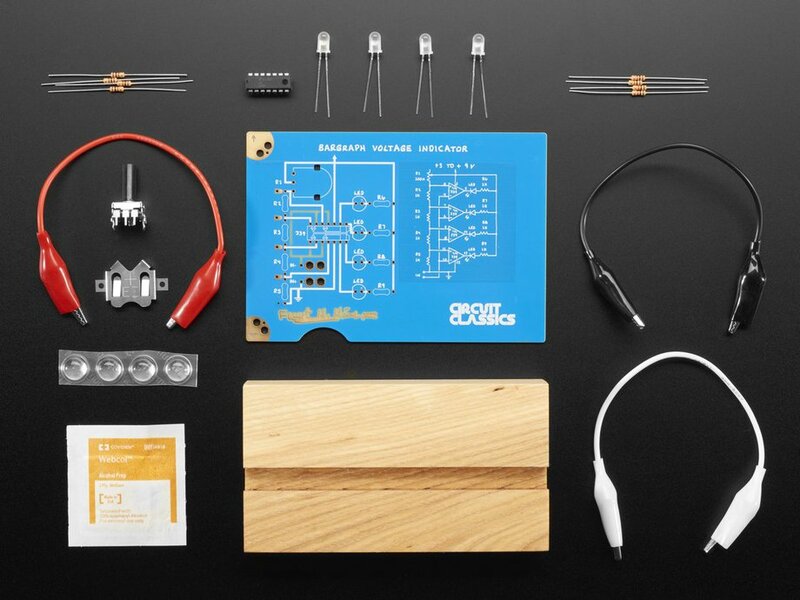 This circuit lets you become a scientist and an engineer and marks the passage of that important milestone of using tools you have constructed yourself. 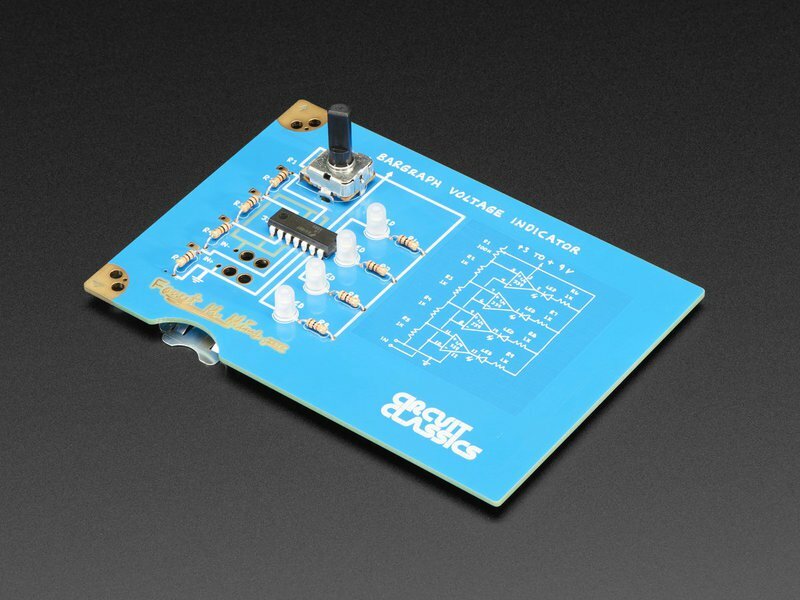 With this kit from Circuit Classics, you can measure batteries or use it to explore and understand other electronic circuits that you find in the world.